It seems incredible that the garden has been monochromatic for so long. 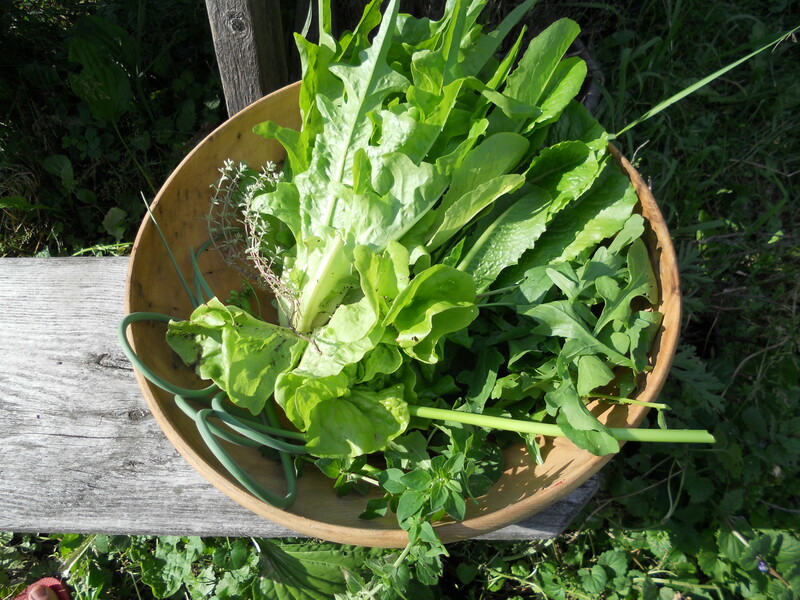 But it’s not that the squashes and tomatoes and melons are late—it’s that the greens came so early. There’s lettuce, lettuce everywhere, and not a thing to eat. My search for varied treatments is complicated this year by my lack of refrigeration—eggs and cheese can be great for mixing things up, but they’re not part of my palette at the moment. 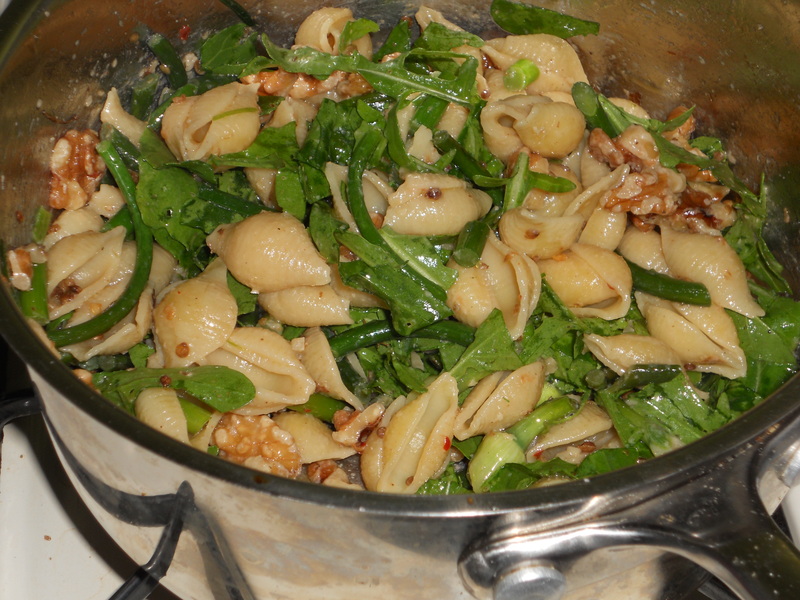 … which became shells with walnuts, garlic scapes, random greens and herbs, red pepper, coriander. 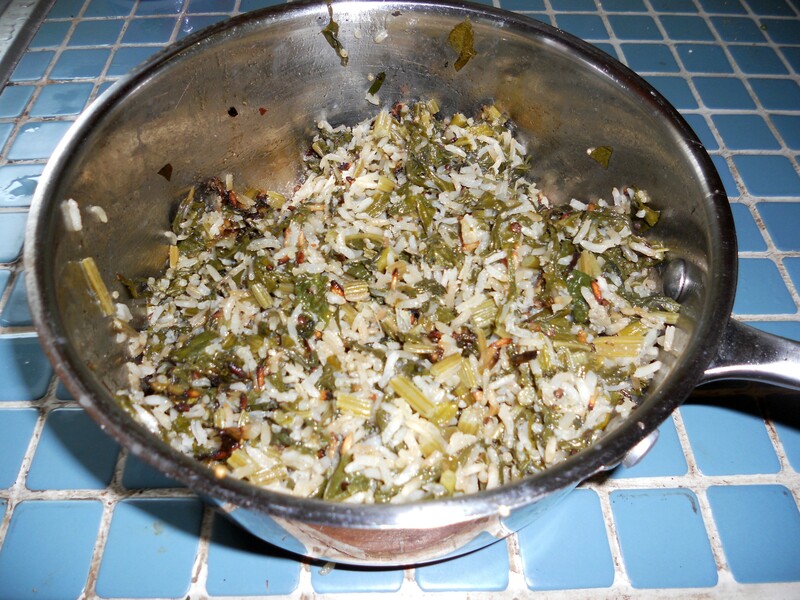 Today, I’m eating assorted greens, cooked with rice and spices in coconut milk. Not so pretty, but delicious. The tomatoes can’t come soon enough… but I’m not complaining. Just because the garden isn’t offering much variety doesn’t mean I can’t keep things interesting. This entry was posted on June 28, 2010 at 5:23 pm and is filed under greens. You can subscribe via RSS 2.0 feed to this post's comments. You can comment below, or link to this permanent URL from your own site. I like pretty much anything cooked in coconut milk. Beans and rice, various curries, and fish all come to mind. Don’t think I have had squash cooked with coconut milk, but it definitely sounds good!